Explore Birds and learn Scots Words. Inspired by the beautiful Scots edition of, The Buke of The Howlat – this exhibition showcases the Falconer Museum’s new bird collection and takes a wee ‘keek’ at the rich language of Scots. Alongside the museum’s fascinating bird collection you can see a 16th century facsimile of The Buke of the Howlat manuscript from the National Library of Scotland’s collection. The fable was originally written in the 1440s in Older Scots (Middle English) by Richard Holland right here in Moray. It tells the tale of a young owl’s borrowed feathers, his pride and ultimate fall. 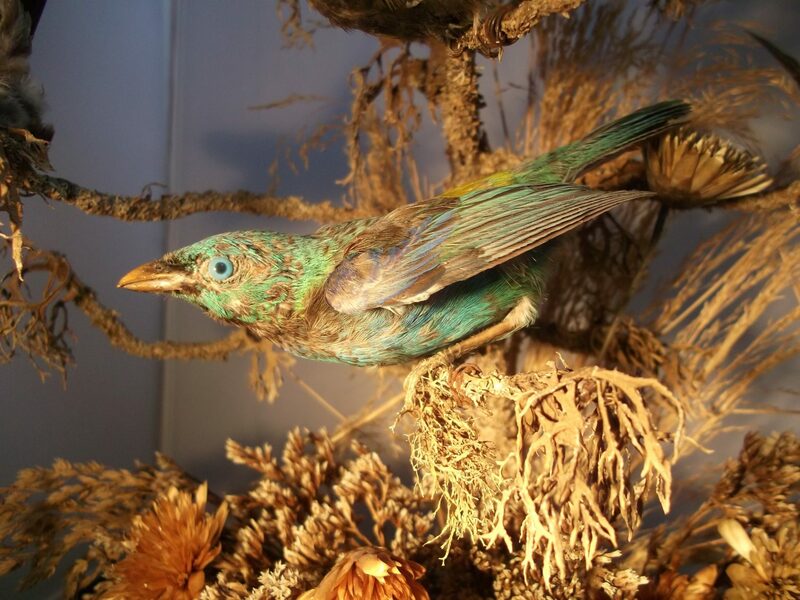 Have a blether about all the birds with the National Library of Scotland’s new Scots Scriever and find out how you can contribute to a braw new literary work based on the Birds and Wirds exhibition. Yes, we’re crowdsourcing Doric phrases! Don’t know what a Doric is? Just ask the Scriever.